Concrete Central is proud to supply ADA Solutions products to help you comply with the Americans with Disabilities Act. 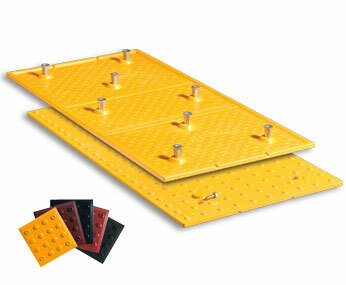 The radius tile unit is easily installed in wet concrete. This unit also has the unique ability to be removed and replaced with basic tools. These unique tiles are made up of colorfast and UV stable, homogeneous glass and carbon composite. They also have fiberglass truncated domes that help to enhance durability. 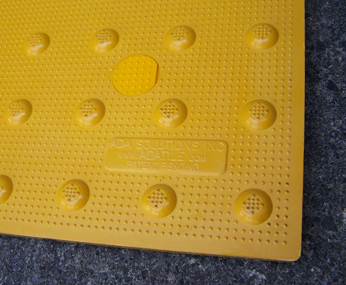 Help protect the people in your community by investing in these warning plates.